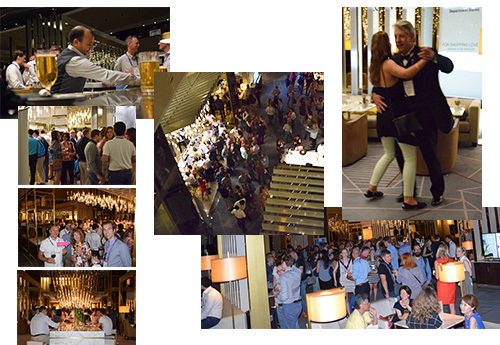 Barcelona played host to a fantastic LocWorld event in June. Localization and language professionals from all over the globe converged on the Catalan city to celebrate the industry and recent developments. It was Jonckers privilege to be a part of the Barcelona LocWorld conference as we hosted the after dinner event at the Fairmont Rey Juan Carlos I hotel, which was a huge success and enjoyed by all. The Barcelona LocWorld conference was a fantastic opportunity for the Jonckers team to network and meet with other suppliers, other language service providers and also to meet with new people and businesses we are very much looking forward to seeing again. Highlights of the conference were the keynote sessions with some really insightful and informative gatherings concentrating on the main topic of ‘Continuous Delivery’. Our team not only gained some valuable advice and guidance but also contributed to some of their own expertise and views in the sessions. Our own event went better than even we had imagined. Executive Management duo CEO Geo Janssens and Chief Customer Officer Cory Mun, were joined by Business Unit Director Chiara Raimondo and Global Marketing Manager Richard Renda to host the event, with invaluable support from one of the company’s rising stars from Manchester, Joe Williams. Over 170 guests from all over the world were treated to an informal evening of drinking, dancing and great company. It was a pleasure to see the enjoyment of many of our peers and fellow industry professionals as the evening saw many competitors mingling and sharing stories, relaxing with a drink and music to finish off what was truly a great conference from the LocWorld team. Now we focus on LocWorlds 35 in Silicon Valley.